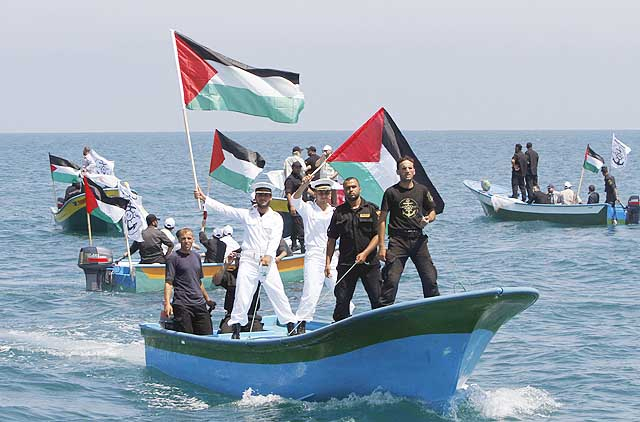 Dubai: Gulf News, which is following with great concern the news of the Israeli terrorist attack on the Gaza-bound Freedom Flotilla in international waters, is holding the Israeli government responsible for the safety of its journalist Abbas Al Lawati who is onboard the leading ship and the safety of other journalists and peace activists. Gulf News strongly condemns the attack and calls on the UN to hold Israel responsible for its violation of the Geneva Conventions which protect journalists and civilians against such piracy acts. “What the Israelis did is a flagrant statesponsored terrorist attack on civilians who were trying to deliver humanitarian aid to the besieged people of Gaza,” Abdul Hamid added.